Everyone wants to make money while they sleep! Well today, I’m going to show you the techniques to get started with affiliate marketing, that almost guarantees you’ll make money from every piece of content you create. The best part? It’s a simple formula. It takes hard work for sure. But, it’s not complicated and it’s actionable, even if you are new. In fact, I’ve used this affiliate marketing strategy for years to boost my income. Affiliate marketing is a simple concept where you promote a merchant’s products in exchange for a commission if someone buys through your unique link. When you sign up for various affiliate marketing programs, you’ll be provided with unique links that are connected to you. The next step is find products that you can recommend to your target audience. You place the links within your blog content and earn a profit for each sale that you make. Over the years I’ve found it to be one of the best passive marketing income streams ever! When done correctly, anyone can make money with affiliate marketing. In fact, I’ve used this passive income method for years and have made well over a few hundred thousand dollars. It’s how I earn my living now. My business has evolved into one where I can do what I love best: helping others to learn and build their online empire to earn passive affiliate income! You might wonder if there is still a chance for you to get in on an affiliate marketing opportunity. This is a steadily growing industry. Recently, according to an independent survey by Rakuten Affiliate Network affiliate marketing will likely reach $6.8 billion by 2020. Nowadays, affiliate programs have become a crucial part of an advertiser’s marketing strategy. In fact, more than 20% of overall revenue is produced through affiliate partnerships with people like you! In another VigLink survey, 9% generate more than $50,000 in affiliate income in 2016. If others are doing it with great success, that means it’s doable! All you have to do is learn the beginning steps to get started with affiliate marketing. First, they identify the techniques that get them results. Second, they put 100% of their resources into learning and taking action on those techniques. In this section we’ll review 5 steps to get you going. I think you’ll agree that it makes sense to choose a niche that will actually make money. After all, you will be putting a lot of time into affiliate marketing, so make it worth your time! Many people will tell you to choose a niche marketing that you are passionate about. What if you love a particular topic but it’s a not a viable niche that is going to make you affiliate money? It would be sad to put all that time into something and not find affiliate products that will make you a profit. Be smart and do your research to follow the money. You do this by researching niches that already have profitable products and proof that you can make money. I have 2 simple ways that you can check on profitability for an affiliate niche market. Once you understand this research model, you can use in other areas. If you have been using the Google Keyword Planner, you can log into your AdWords account and do some research to see what advertisers are paying per click in AdWords. The bid will be a good indication of whether there are affiliate options available in a niche. The higher the bid, the better. A bid is the amount that an advertiser is willing to pay for a single click on their ad. You can enter some general keyword terms related to your niche. This will help you understand the demand in that market. For example, enter in the term “internet marketing.” You can see the commercial value of the term is $9.23. Look at related terms below and the suggested bids go even higher. That tells me “internet marketing” is likely a good candidate for profitable affiliate products. 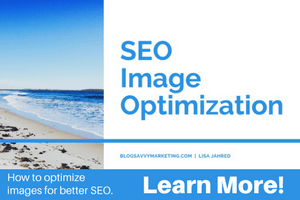 It’s a broad term but when you do your individual blog post keyword research, you’ll look for more specific terms that are classified as long tail keywords. As an alternative, you can use other tools like SerpStat to get similar information. You can get more detailed information using tools that provide you with an all in one SEO platform for research. Now that you know which niches can be profitable, head over to an affiliate network to see if there are products in your niche market. Your goal is to find topics with a good number of products. A great place to look is ClickBank. Head over to ClickBank and click Marketplace. Choose a Category on the left or type in a keyword term and click the search icon. On the left side of the results display, type 6 for Gravity. Gravity is an statistical indicator of how many affiliates are promoting the product and making sales. Look at each merchant in the list. Check out the details such as commission percentage and their sales page. Doing this research will help you understand the profitability of your niche market and whether you should pursue it for your affiliate marketing business. Once you are satisfied that the niche you selected is going to be profitable, it’s time to create a content marketing plan. Instead of staring at a blank screen each day not knowing what to write about, create a carefully thought out plan so you know exactly what type of articles to write over the next few weeks. To do this, you’ll need to do some keyword research to understand what your target market might be interested in with regard to your niche topic. Your main goal here is to keep moving forward with content creation so you can continue earning income from your efforts. That’s where keyword research becomes important. It will help you understand exactly what your audience wants from you so you can give it to them! In this phase of getting started with affiliate marketing, brainstorm your content marketing ideas. What is the problem that this blog post can solve? Does it answer a particular question that a user might search for? What viewpoint or approach will you take with this post for maximum effectiveness? What some catchy headlines you can possibly come up with? Using a headline analyzer can help you get the best title results. After you have a good content plan, write your first 3 blog posts to have them ready for posting once you setup your new website. Don’t post them all at once. Space out the blog post publishing over a week period of time for consistentcy. Most of the time, you’ll need an established blog before you can apply for affiliate programs. In this step, you’ll setup your new blog. First, choose your blogging platform. You can choose between a free or paid blogging platform. 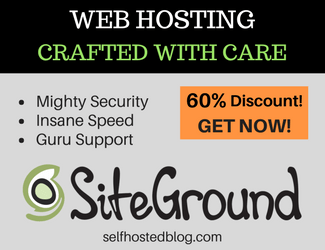 If you are serious about succeeding with affiliate marketing, I highly recommend that you use a self-hosted blog through a webhost and use WordPress. You’ll be taken more seriously and you’ll have the freedom to do whatever you want with your blog instead of getting bogged down by policies that can potentially limit you. Learn more about getting started with your blog in a recent article I wrote. You can also do affiliate marketing without a website. You already researched affiliate programs to see if your general topic is a profitable one. After you have written a couple of articles on your new blog, it’s time to do your research again to find which exact affiliate products will be a good match for your keyword topics. For example, if your niche is “internet marketing,” you’ll want products that can help someone in many aspects of creating and maintaining a profitable online business. Amazon: With millions of products, you are sure to find something that fits your niche well. If you are just getting started, Amazon provides a good platform to do so. AppSumo: They sell a variety of the greatest, geekiest products for entrepreneurs, online marketers, and bloggers. ClickFunnels: Offering several products for online marketers, you can really benefit by go through their affiliate bootcamp. You’ll learn all the secrets to building a successful affiliate business. Affiliorama: Offers a suite of resources aimed at helping affiliate marketers learn how to be profitable online. They also have lessons you can take. ClickBank: You’ll find affiliate merchants from just about any category you can think of. ShareaSale: Has a great variety of affiliate merchant from many categories that pay a good commission for your efforts. Commission Junction: With an easy to use interface, you will find many global merchants. You can generate content for your website and use product widgets. Rakuten: Ranking in the top 3 ecommerce companies. Rakuten offers over 90,000 products from over 38,500 merchants. Surely you can find a few affiliate offers here! Ultimate Bundles: Offers bundles of resources in several niches that sell like crazy! These affiliate networks should give you a few ways to get started with applying to programs after you get your website setup. How to include affiliate links in your blog posts. That is exactly what we’ll go over in this section. Let’s remember what affiliate marketing is all about. Your goal is to get your website visitors to make a purchase so you can earn that nice commission. Let’s take an example of a product review. If you write a review about a product [I assume you have used it], you can easily make a product recommendation and include your affiliate link. Or … maybe you created a recipe for something. In this example, you can see a blog post with a recipe for DIY Body Butter. The ingredients list include affiliate links to the corresponding products on Amazon. When a user clicks a link and makes a puchase, a commission is generated. You can see that the links are naturally included in the article. There is nothing forced or unnatural about it! The secret is to write blog posts that appeal to your audience and can include affilliate links in a natural way. As you learned, the affiliate marketing industry is alive and well. You have an incredible opportunity to create a passive income stream. With a low startup cost and low overhead, affiliate offers are one of the best ways to earn extra money. If you focus on creating incredible content that is helpful to your audience, you will have the best chance of success. Thank you for all of these tips! I actually really like Serpstat’s keyword tool. This should be very useful!